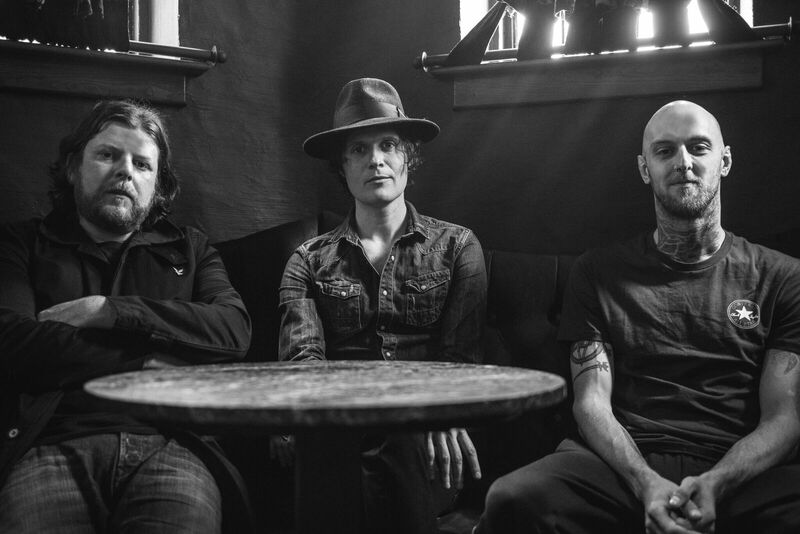 The new Fratellis album In Your Own Sweet Time was released on March 16th. Before the album came out, they put “Starcrossed Losers” out which can be viewed here: https://youtu.be/K1xJSV6Mrco. Formed in 2005, this Scottish rock band from Glasgow is currently made up of lead vocalist and guitarist Jon Fratelli (born John Lawler), bass guitarist Barry Fratelli (born Barry Wallace), and drummer and backing vocalist Mince Fratelli (born Gordon McRory). Their singles “Chelsea Dagger” and “Whistle for the Choir” were both top ten hits in the UK charts. They came out with the dance rock explosion (The Rapture, Franz Ferdinand, Hot Hot Heat) and were even one of the first bands featured on the iconic dancing-silhouette iTunes commercials (https://youtu.be/Gd7gLENvDP8). We actually never talk about music other than our own! Our musical taste sometimes crosses over but really, we don’t spend that much time hanging out listening to music. Off the top of my head I think we all like Michael Jackson. All years are great! We’re having fun being on the road playing new songs to people at the moment and we’re looking forward to doing that for the rest of the year. We’re not really goal orientated, it takes too much energy and we’re far too lazy for that! Can you recall the moment when you all thought you could be in this band together? Was it hard to come up with a name that you all thought fit your sound and who you are? Did it really come from the criminal family in The Goonies? We knew from the minute that we played in a room together for the first time that this band would work, and yep, the band name did come from The Goonies… though still haven’t seen the film yet! How do you think this band has truly grown over the years? Do you think that what motivates you all to stay together and continue to create music has changed much since you first formed in 2005? What has remained the same after all this time? Our only goal has been to make music that we all like, how we go about achieving that changes, as it should do but all we’re interested in is continually producing something that we can stand back and enjoy listening to. Congrats on recently releasing your newest album, “In Your Own Sweet Time”! How differently did you approach recording this collection then your previous ones? It’s hard to say how different our approach was since everything follows the songs. Until we have a bunch of songs that we all like, we don’t go near a studio. Each record is just a snap shot of where we find ourselves at any given time. Each day when I write I’m just trying to keep myself entertained. What was the inspiration for your singles “Starcrossed Losers” and “Stand Up Tragedy” that were released ahead of the album? The problem is I can never remember writing songs! Inspiration is like the weather, it never sits still, it constantly moves and it’s always there. Sometimes you get lucky by grabbing a little ray of sunshine. Where do you think you are all happiest- in the studio recording new music, on stage performing or elsewhere? Where are you most excited to play at on your forthcoming tours? All of those things carry their own unique kind of excitement, but if I was to choose, to me there’s nothing more exciting than the flash of an idea for a new song. Those three or four seconds are worth being alive for. I think the world is a great place! The mainstream media would love us to believe that things are bleak but that’s only because they have 24 hours a day, seven days a week to fill up. Life’s a breeze if you want it to be. Playing music has always been the thing that brings me most joy but there’s plenty of joy to go around. I actually don’t listen to a lot of music and have no idea what’s going on out there in music land. My go-to artists over the years have been Bob Dylan, Pink Floyd, The Beatles and Bruce Springsteen. I have to confess it’s not really my natural environment, so I have to rely on others to do it. To constantly keep people up to date of my daily goings on just wouldn’t thrill me at all but I think the medium itself is great. We’ve never collaborated with anyone other than Tony Hoffer our producer. There’s no particular reason for that, it’s just the way things have worked out. I’m not against the idea at all but it’s just never happened. Really it’s just a bit of fun so if we can convey that through our records and shows then I think we’ve done our job.